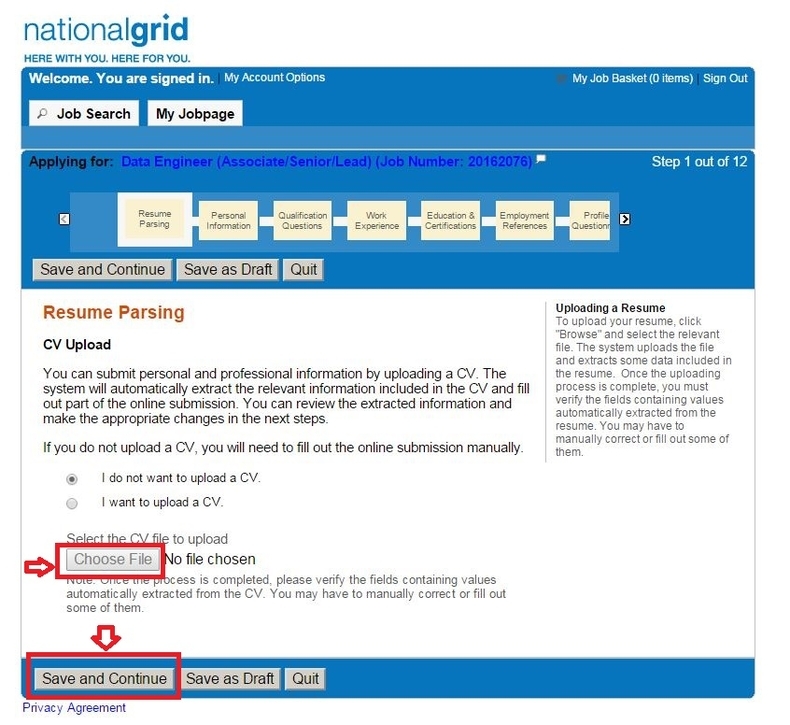 Go to nationalgridus.com/careers or careers.nationalgridus.com to land on the career page and click " Search Jobs" as the picture shows below. 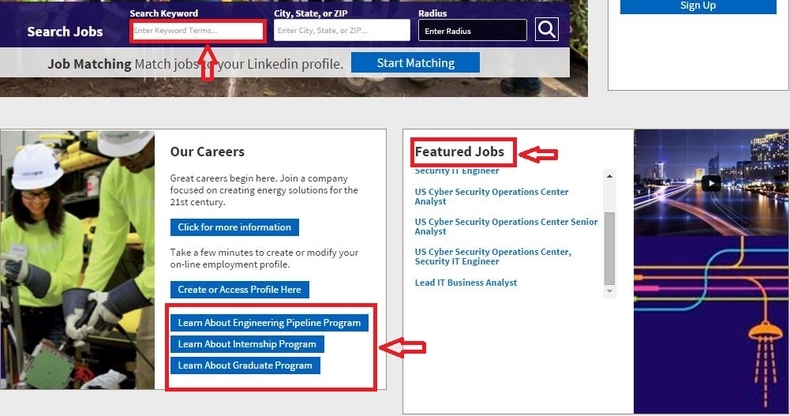 Once you click "Search Jobs", you'll be directed to the page below which requires you to using the filter conditions like keywords and locations or LinkedIn profile to match a job title for yourself. 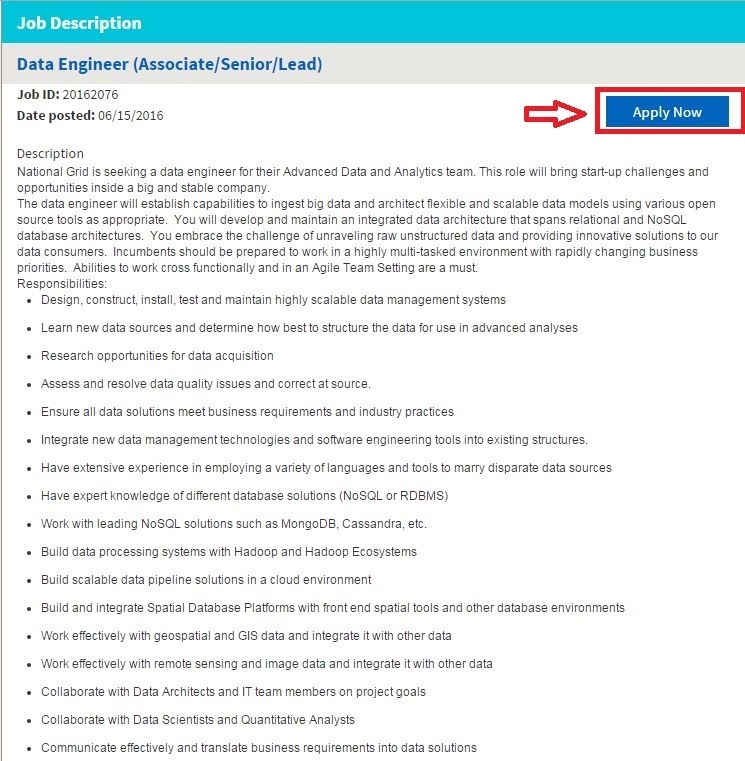 Or you can just apply for a featured job as the arrows indicated. If you are going to apply for a job at some of the programs like Internship Program or Graduate Program, you may enter job titles in the search box to find one that fits you. 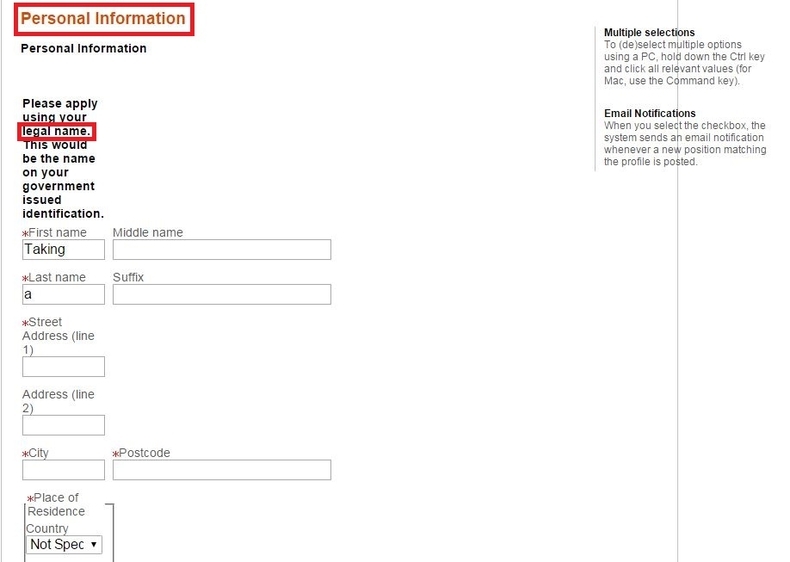 Once you input the keywords of your job title, you'll be directed to the page shown below. 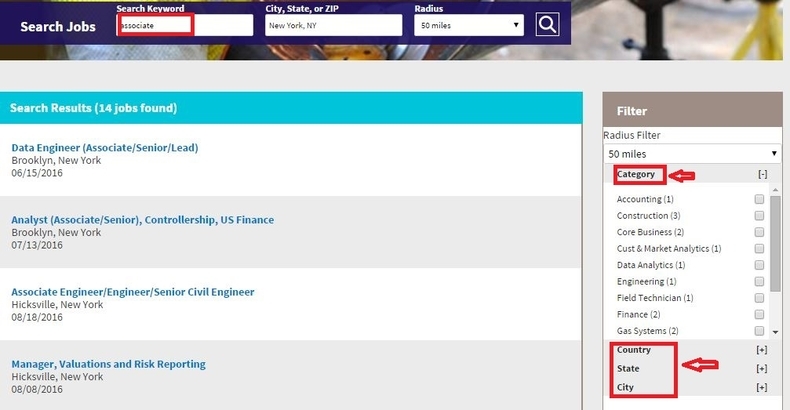 You need to specify the exact job you are looking for by selecting the category, country, state and city from the filter on the right side of this page. Once you choose the position that you'd like to apply for, read the job description carefully which includes job responsibilities, your qualifications for the job, location info, schedule, etc, and then press the "Apply Now" button. Fill out your personal info including your name, phone number and email address to join the Talent Community to stay in-the-loop on the latest opportunities and events. You'll then be taken to the application system to apply for the position you chose. Once you join the Talent Community, you'll be directed to the application page, just click "Apply Online" and then sign with YAHHO account or create a new account. 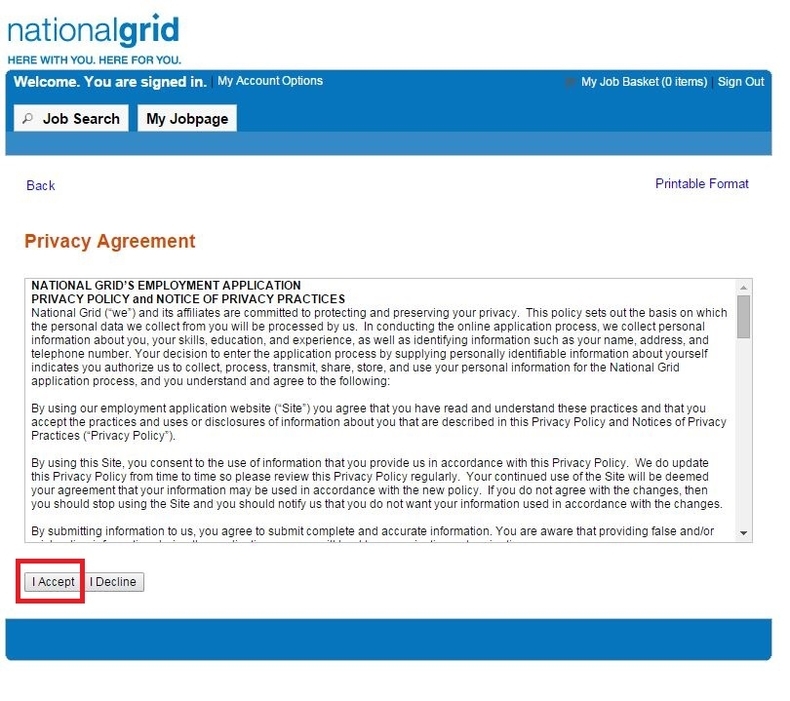 After you create or sign in your account, you'll be asked to read the Privacy Agreement. Make sure you get yourself clear with the details listed in the Agreement and then Press "I Accept" go to on with the process. In the step 8, you'll be asked to upload your cover letter. Choose the file from your computer and click the button "Save and Continue" to go to the next step. 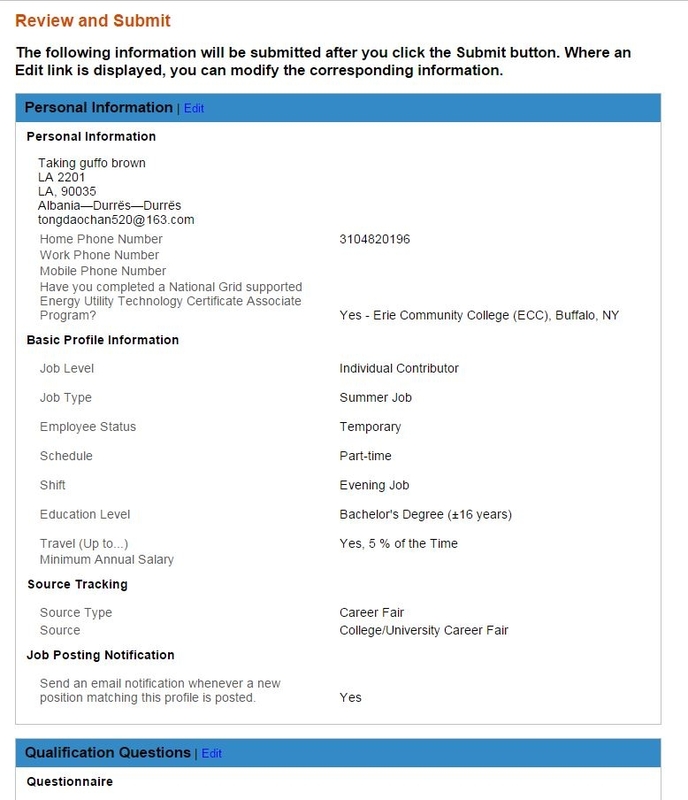 In addition to the basic info like name, phone number and address, you are also required to fill out the basic profile information and indicate how you got information of this job. 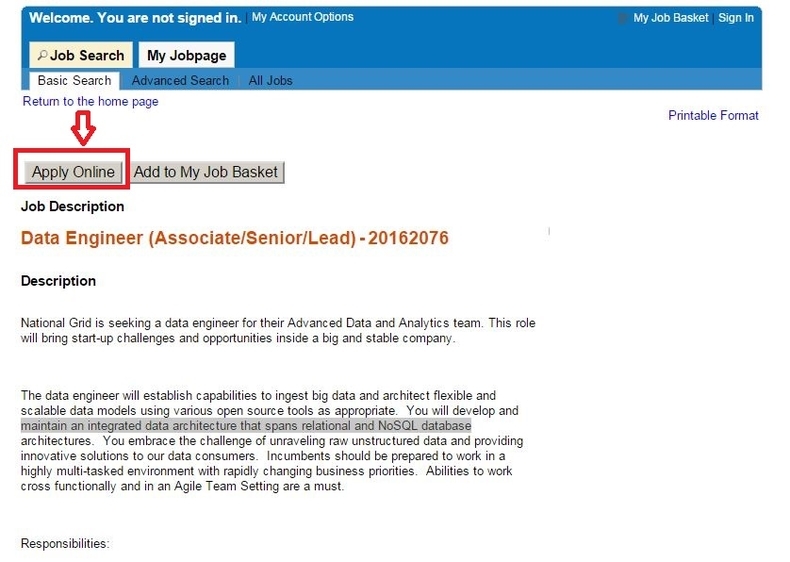 You may select the checkbox at the bottom of the page to receive an email notification whenever a new position matching this profile is posted. 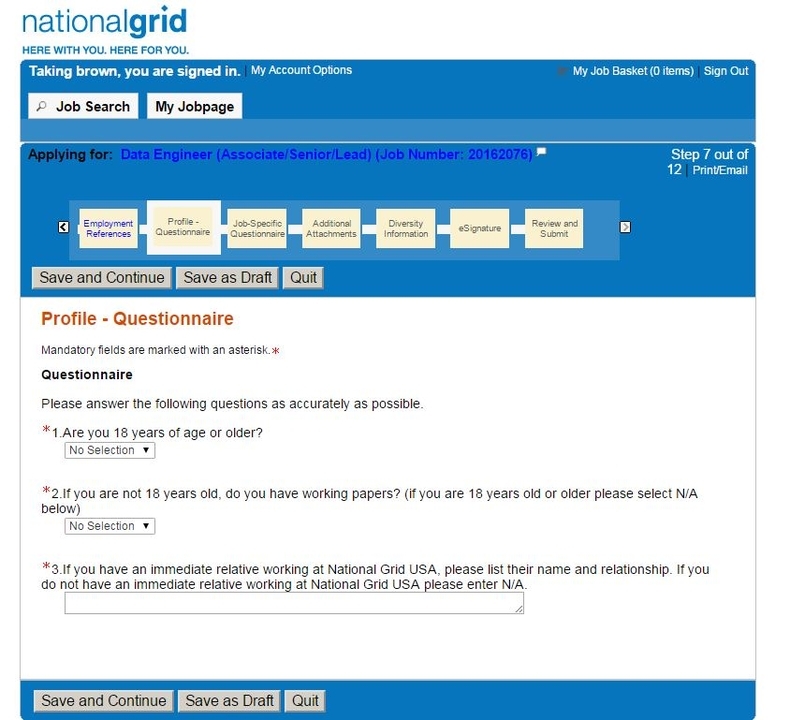 Answer some qualification questions in an accurate way to help National Grid know you better to further assess your qualifications for this position. 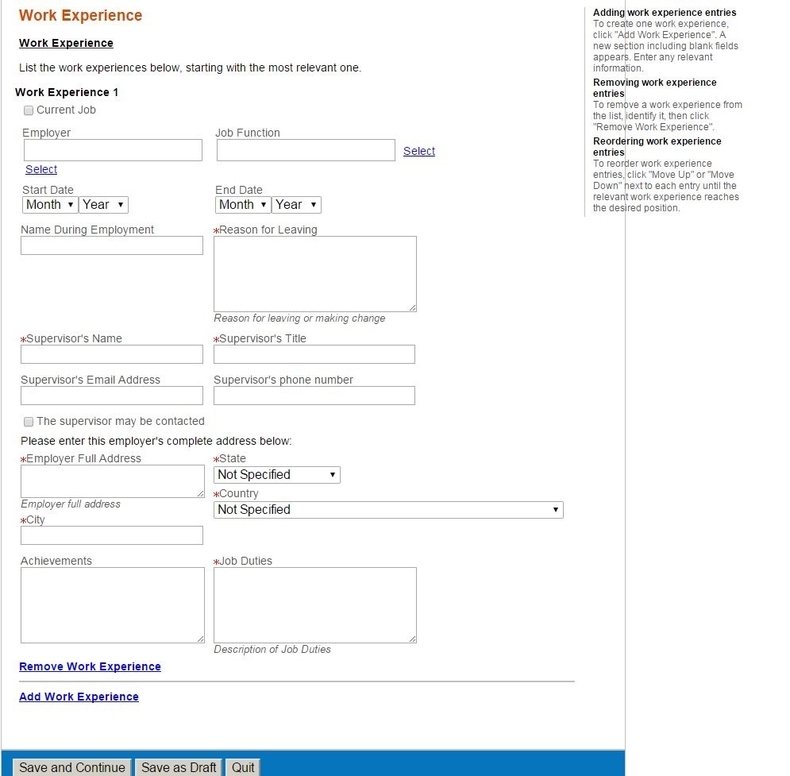 You are required to list your previous work experiences in this step. Start with the most relevant one and finish this step carefully as rich employment experience may help you stand out of others in most cases. 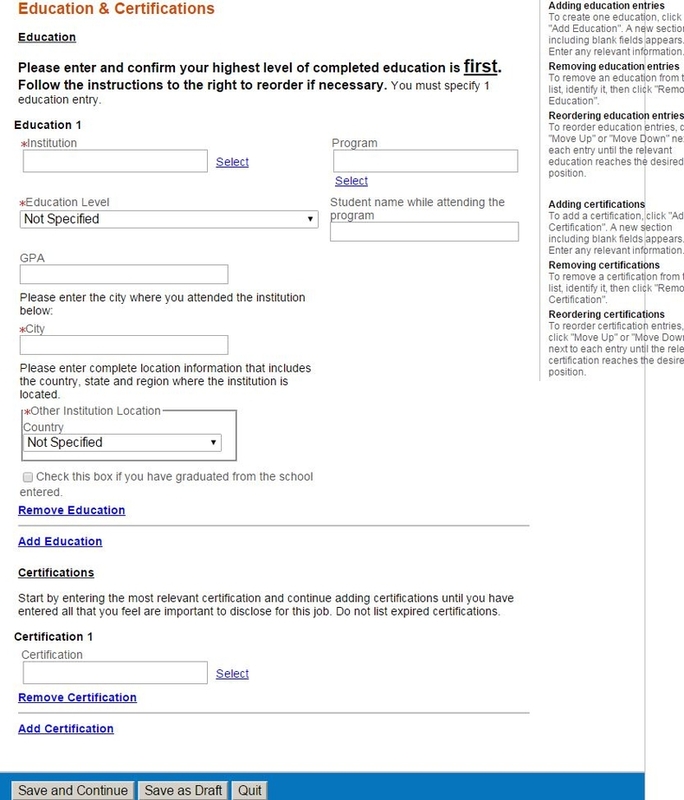 Enter and confirm your highest level of education firstly. Follow the instructions to the right to reorder if necessary. You must specify one education entry. Start by entering the most relevant certification and continue adding certifications until you have entered all important ones to disclose for this job. Do not list expired certifications. List your references in the order of contact preference, starting with the most relevant one. References are individuals that are familiar with your work capabilities and your educational background.You must specify three reference entries. 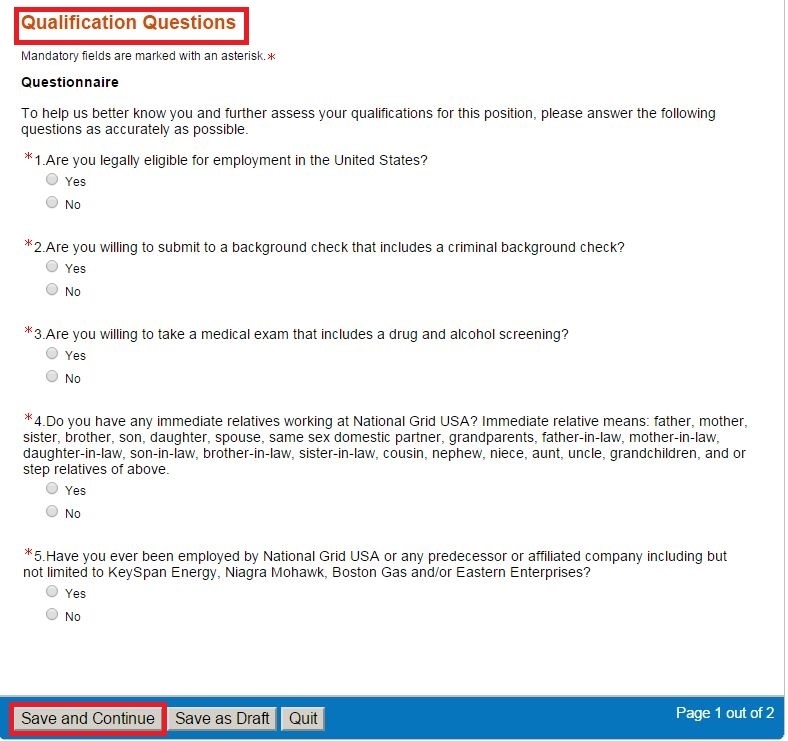 You need to take a Profile & Job-Specific Questionnaire by answering several questions accurately to continue with your online application. 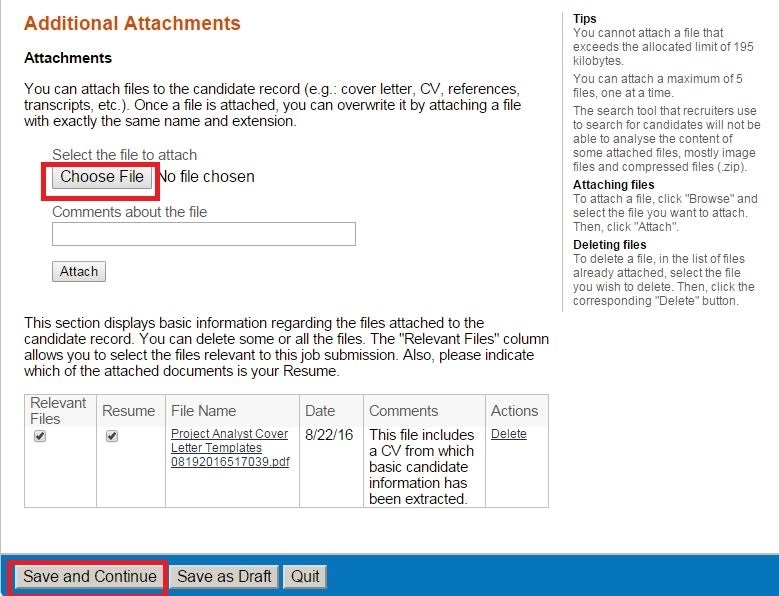 Attach files to the candidate record (e.g. cover letter, CV, references, transcripts, etc.). Once a file is attached, you can overwrite it by attaching a file with exactly the same name and extension. 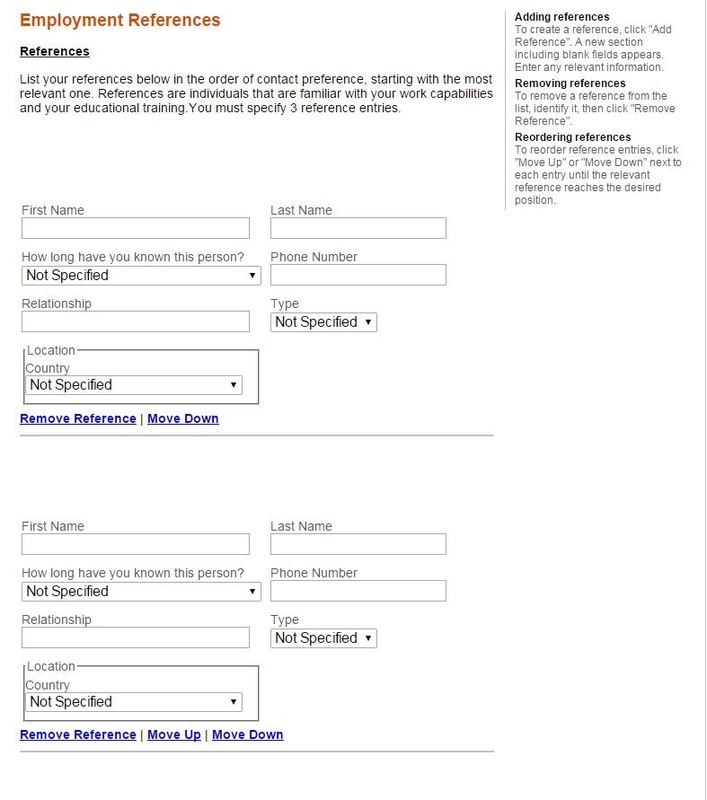 The "Relevant Files" column allows you to select the files relevant to this job submission. Also, you need to indicate which of the attached documents is your Resume. 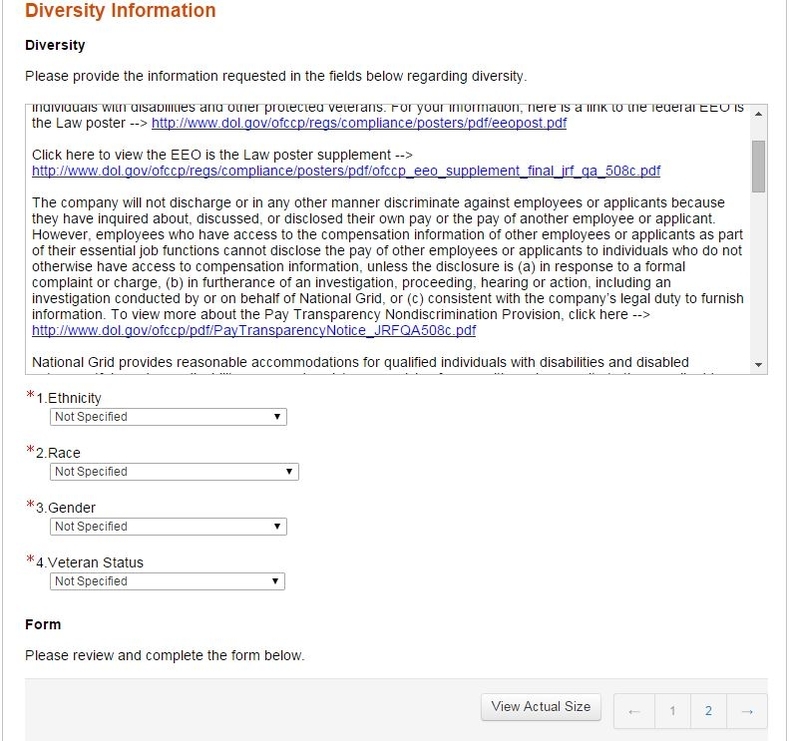 Provide the information requested in the fields as are shown below regarding diversity and review and complete the Voluntary Self-Identification of Disability form to get access to the next step. 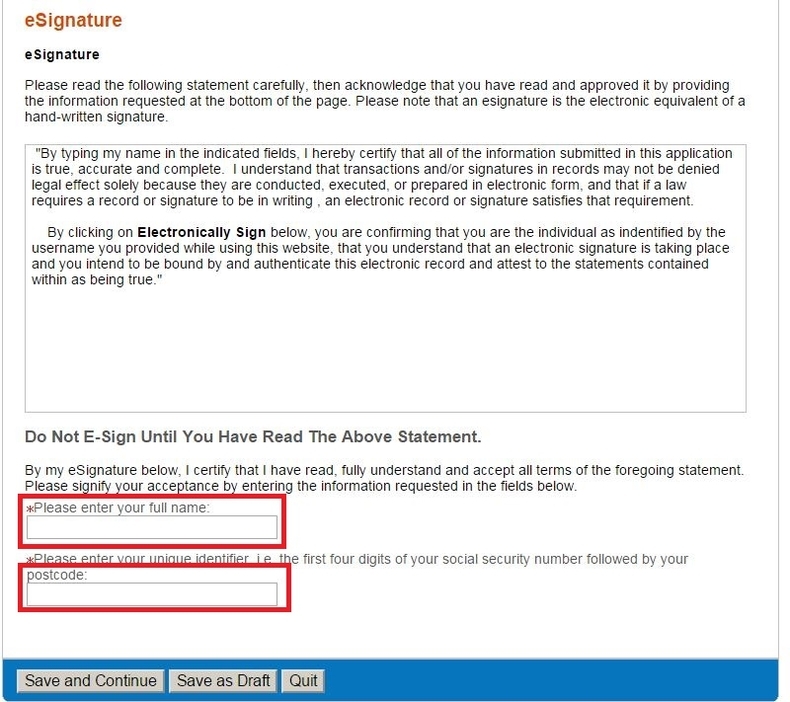 Read the listed statement carefully, then acknowledge that you have read and approved it by providing the information requested at the bottom of the page and signifying your acceptance by entering the required information. Review and submit your application by clicking the "Submit" button or you can rewrite it by clicking the edit link to modify the corresponding information. 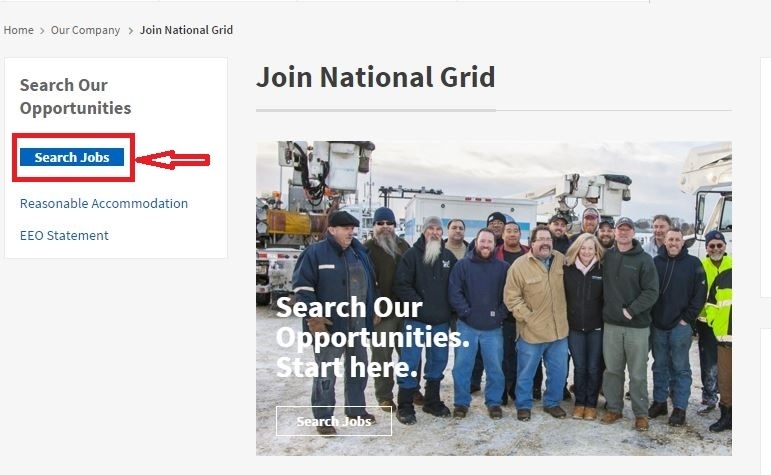 Click careers.nationalgridus.com to apply for National Grid jobs online.